A childs mind can be quite innocent and yet troubling. Take control of a young child as she spends the week away from her parents in a place away from home. Keep her safe and awake, as things there may go bump in the night. These toys are out to play, but the question is are they real or is this just the innocent mind of a child. You play as a young child, who is away from her parents as they are on a much needed holiday. The young child has suffered from anxiety most of her life, which leads to confusion and an over active imagination. Which leads to trouble for the character when the light goes out an the moon comes out. You must survive the nights an keep your aniexty down, as through out the night you will experience the mind of an over active childs imagination. Each night you may encounter different types of creatures. But don't let their cuteness fool you. As the higher you aniexty goes the harder things become. Keep her calm. Keep her safe. Keep her in the light. 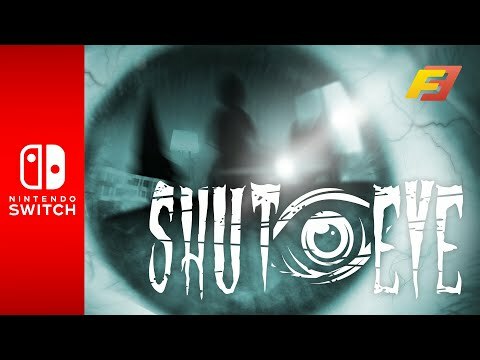 Shut Eye was released on Switch 258d ago in the US and the UK. Notify me when Shut Eye is available.